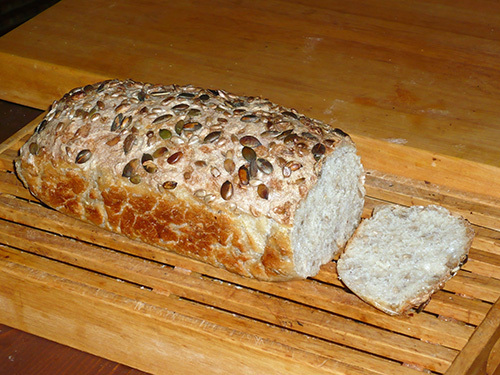 I have modified from Laura Calder's French "Boule" bread recipe a very simplified and easy mold bread recipe. The mold bread is in my opinion easier to slice and the pieces fit better into the toaster. 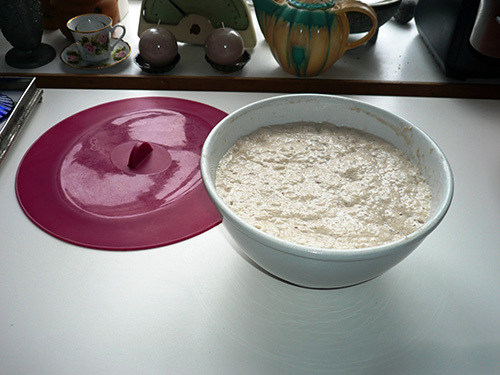 Mix the flour, salt, yeast and the additions in a bowl. Stir in the water to blend. You do not need to knead the dough! 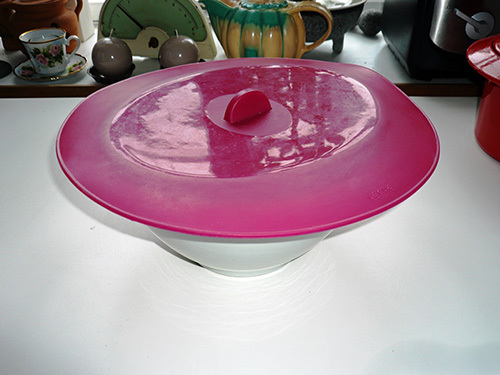 Cover the bowl with plastic wrap or similar and let it rest overnight in room temperature (at least 12 hours). 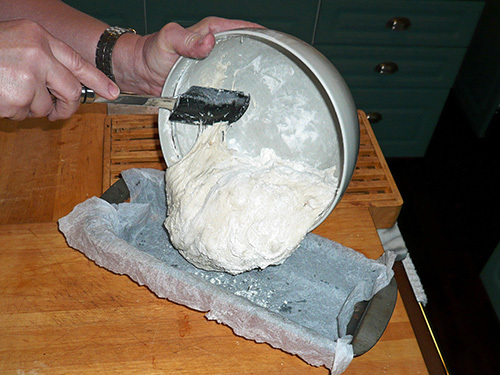 Carefully scrape the dough into a preferably metallic mold which is covered with an oiled greaseproof paper. Let the dough rise in a still place for 2 hours. 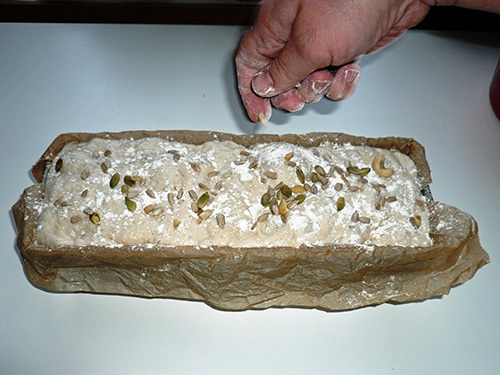 Thereafter sprinkle sun flower seeds, etc on the dough. 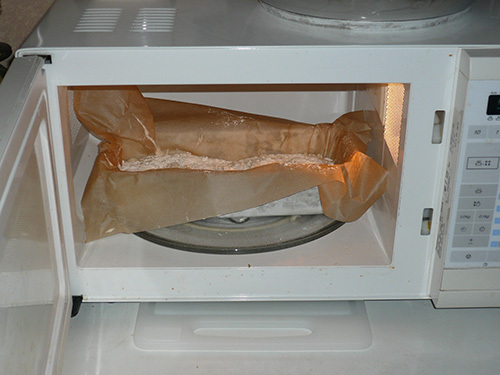 Bake the bread in an oven at 225°C / 437°F 35 min. To ensure a crisp surface pour little water in the beginning on the bottom of the oven. I have always been an impassioned eater of salty liquorice. My favourite has been already for a long time Fazer's "Super Salmiakki" but I taste with pleasure also other brands and of course all newnesses. In my opinion one can compare the differencies in taste nuances of various salty liquorice with wine tasting. I have enjoyd on the years all the Finnish salty liquorice brands. I am now implementing one of my long-term dreams. 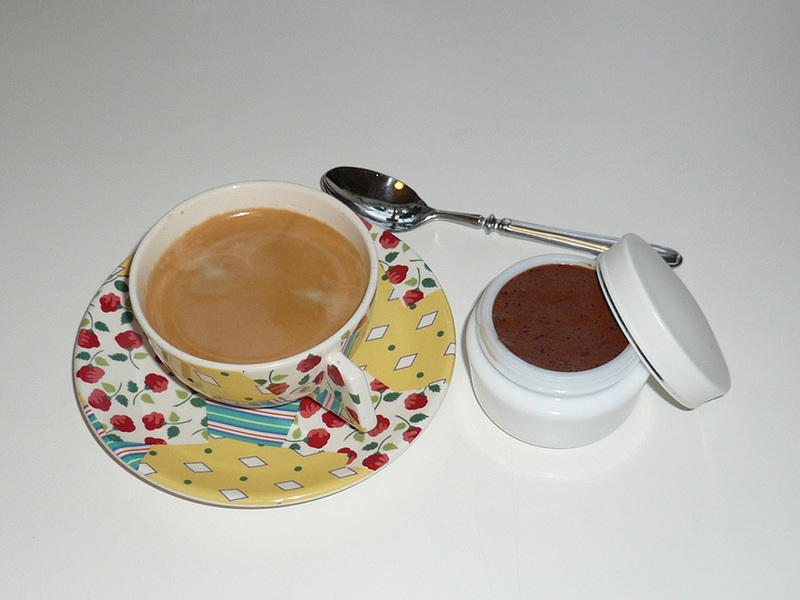 I am making silver jewelry with a theme of salty liquorice. 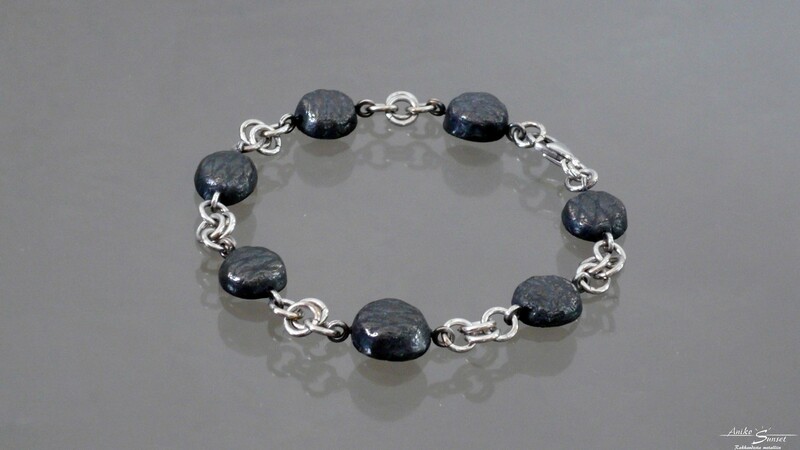 I found it nice to show also with jewelry my preference to salty liquorice. 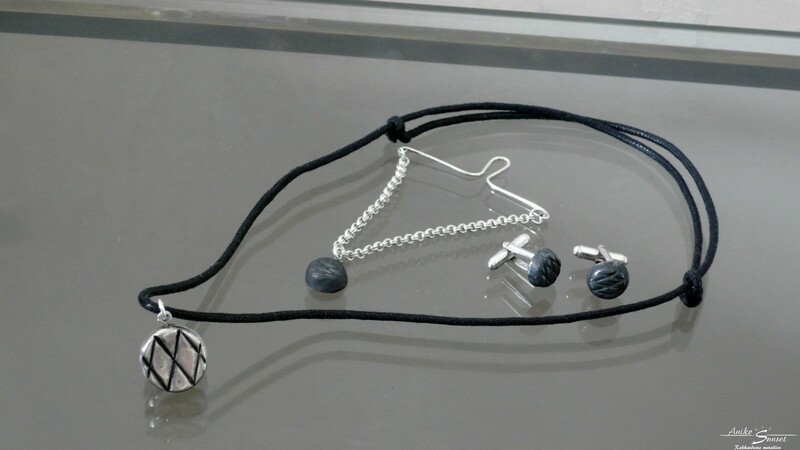 The bracelet, the jewelry set for men (the tiepin, the cufflinks and the necklace) are ready. Next I will make the earrings. I invent new recipes with pleasure. I like also snow construction and snowmen. 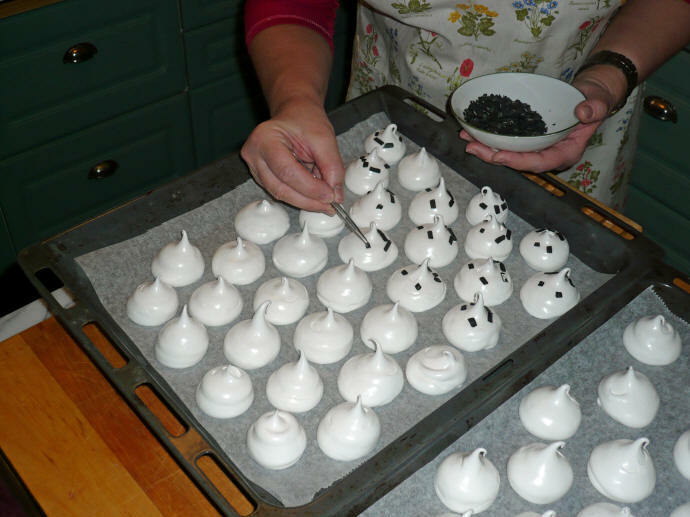 So I got the idea of snowman meringues which my children have always liked especially. 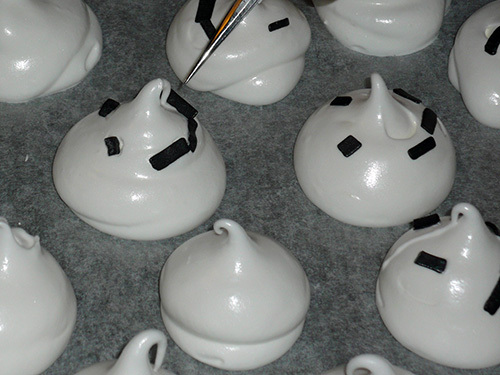 The salty liquorice taste matches well with the meringues. Preparing them is really making food with love. Froth the desired amount of egg white to hard foam + a pinch of salt. Add the sugar in small quantities in ratio ½ dl per one egg white. Extrude the hard foam onto a greaseproof paper on a baking tray to "snowball" shapes with a nose. 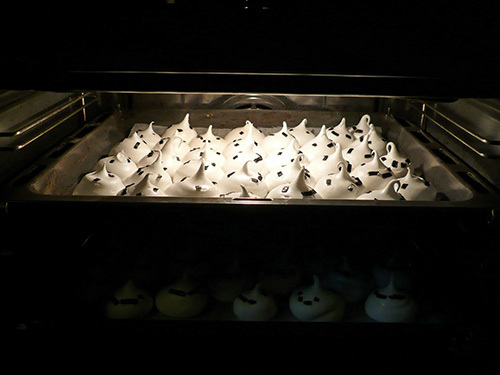 Bake the meringues in a mild oven temperature (75oC/167F) for a long time, at least a couple of hours, depending on how soft you like to let the inside.